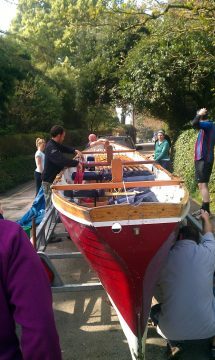 Our second gig leaves for The World Pilot Gig Championships on the Isles of Scilly tomorrow (March 28th). Earlier today, club members cleaned her out and loaded her on to the trailer in preparation. Best Ever Club Result at 3 Rivers!